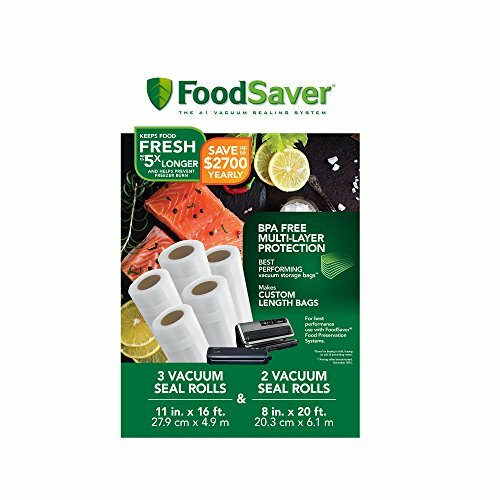 The FoodSaver 8" and 11" Vacuum Seal Rolls, Multipack, make it possible to create bags that are as long as you need. The convenience of custom-length storage bags means no more wasted material or precarious "doesn't quite fit" scenarios. Constructed of BPA-free multi-ply material that blocks moisture and oxygen, these rolls protect their contents from freezer burn and spoilage up to 5 times longer than nonvacuum storage methods.